wonderful. 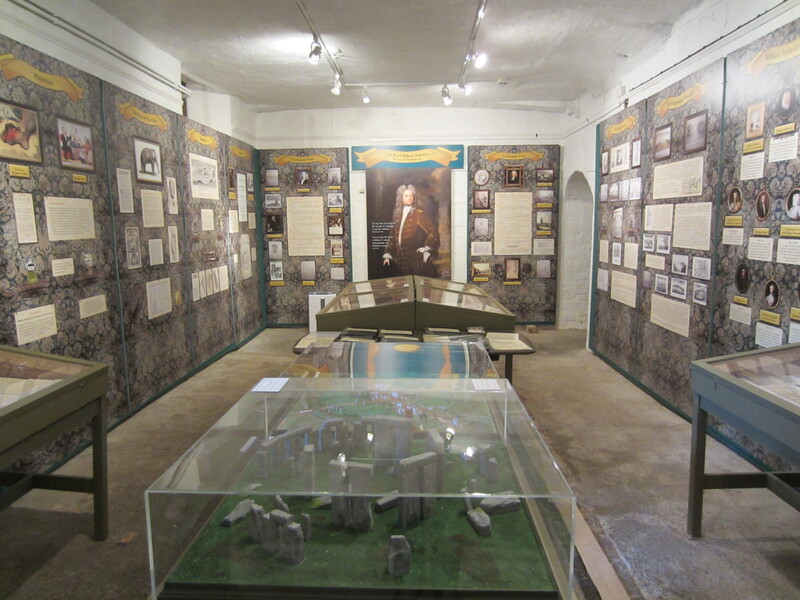 Thank you to all the visitors who came on Thursday and kept your sense of humour! We were not there but by all accounts the house was full to bursting as the rain poured down outside but everyone was amazing in the scrum! 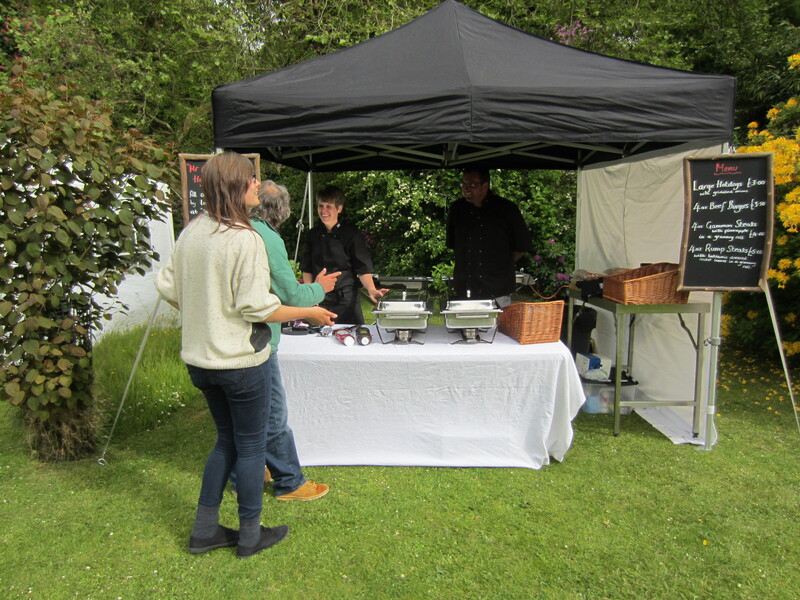 Kath and Jo did their best to keep everyone well fed and watered in the Tea Room. 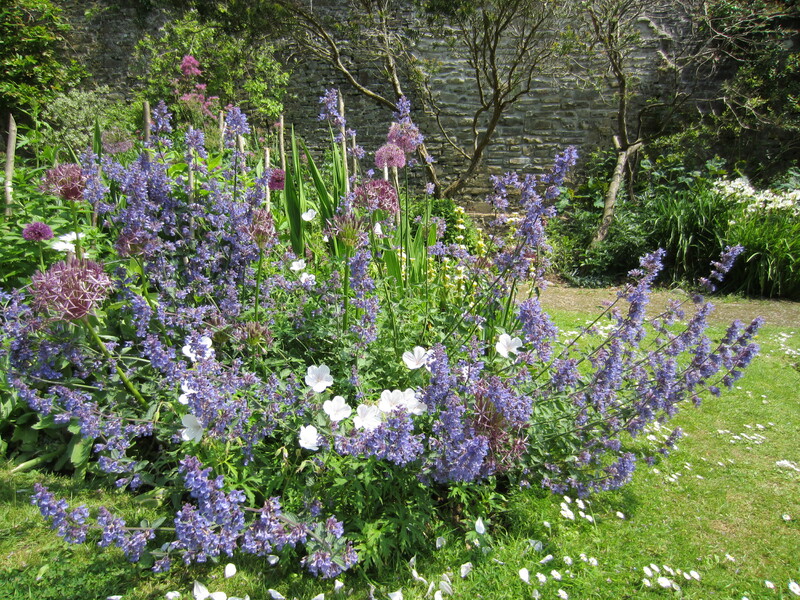 The Walled Gardens are looking really beautiful. 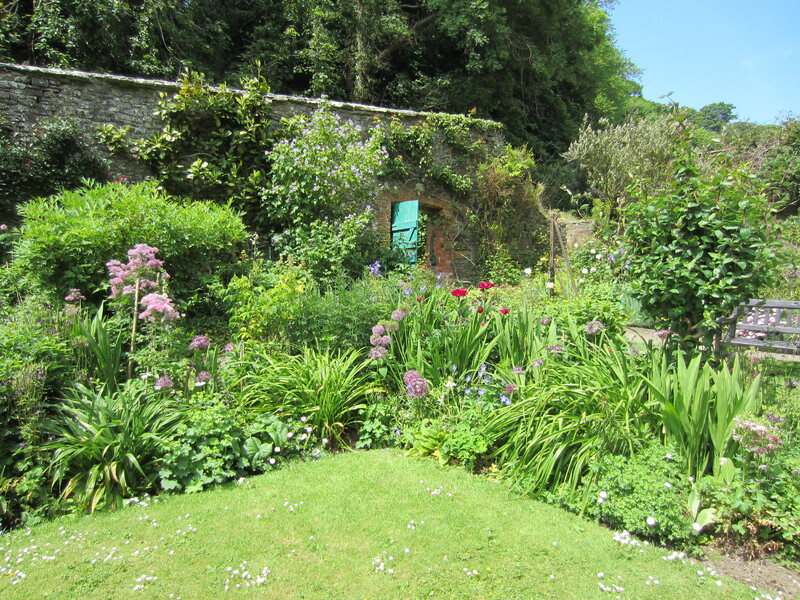 They are such a credit to Nigel, and Sam our part time gardener, and Dave who keeps the grass mown. The camellias, rhododendrons and azaleas are nearly over now in the woodland gardens but the crinodendron and embothrium (Flame Tree) in the Bog Garden look stunning. I feel sad when spring leaves us but the Walled Gardens come into their own now. 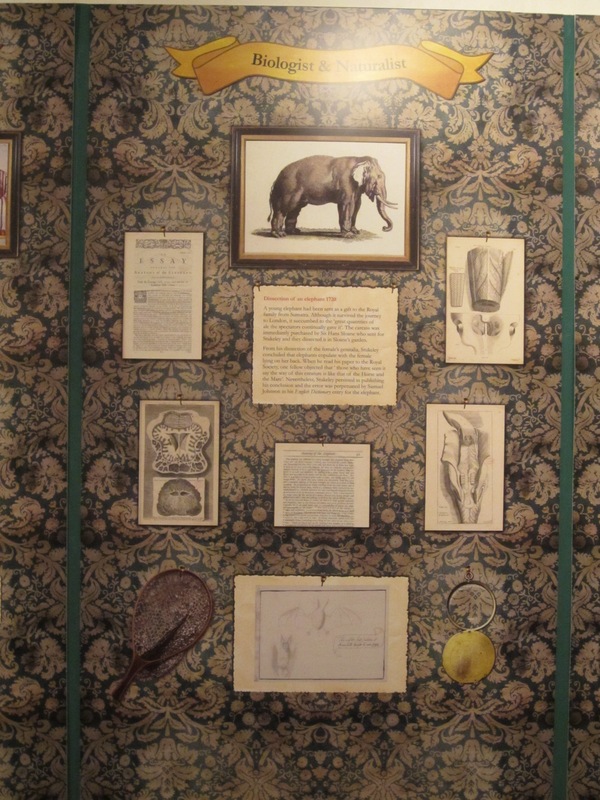 At last the William Stukeley exhibition is up and running. We are thrilled to see all the months of research and design come to fruition in a stunning display thanks to David Northmore’s imaginative and creative thinking. It has been a real joint effort but the uniqueness is all his doing and we are so thankful to him. We were thrilled that he and his wife Lenis flew from America to be here at Hartland for the opening by Robin Makeig-Jones, Commercial Director of North Devon +, on June 7th. (Robin had been seen by millions on the BBC Antiques Roadshow, filmed at Hartland Abbey in 2011, with fairy china painted by his aunt, Daisy Makeig-Jones, for Wedgwood). We are so grateful to Leader4 and the North Devon AONB for their part funding of our project. We are also incredibly grateful to the wonderful people who volunteered to help with this project. You know who you are, thank you so much. was the first to write Newton’s memoirs, a facsimile of which is on display. Anyone interested in our great stone circles of Stonehenge and Avebury should, we hope, find this enjoyable. The BBC has provided us with a really interesting radio programme on Stukeley from many years ago which provides a good background commentary. Hartland Abbey for another season of entertaining evenings. Miracle Theatre’s performance of ‘Waiting for Godot’ last night was brilliantly acted, a really outstanding performance of this extraordinary play. I urge anyone who has the chance, to see it. 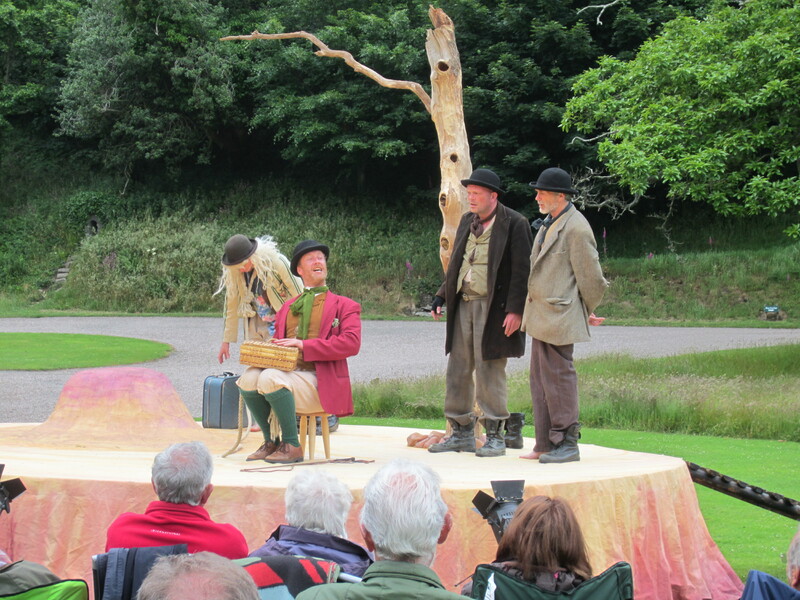 Miracle Theatre are touring the West Country for the next couple of months -don’t miss them! You would be pushed to see such good acting in the West End. Saturday 29th June at 5pm sees Heartbreak Theatre returning with a new performance, ‘Alice -an Extraordinary Adventure’. I am sure this will be enchanting family entertainment. We will be having the barbecue, hot and cold drinks, cream teas and the bar for the parents! 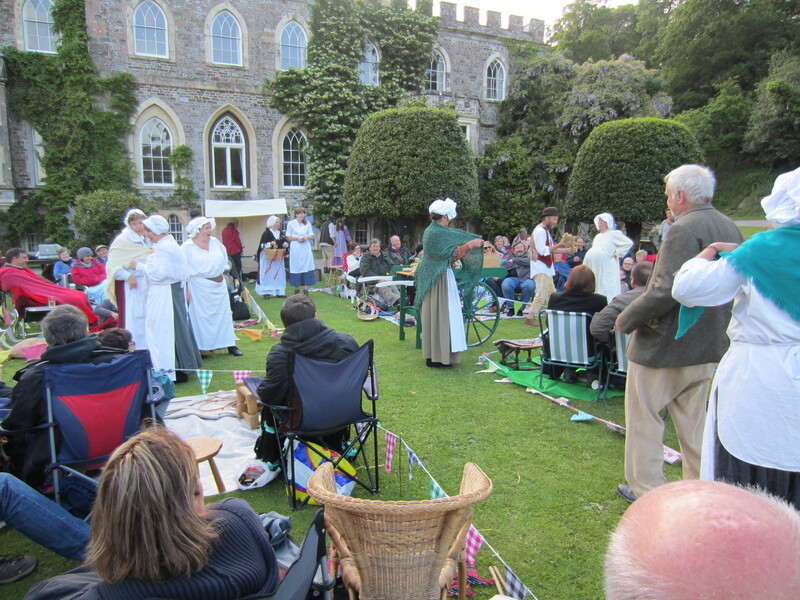 Then we will have to wait until August for four great evenings of theatre – Romeo and Juliet, Treasure Island, The Mikado and Babe the Sheep Pig. There is something for everyone! 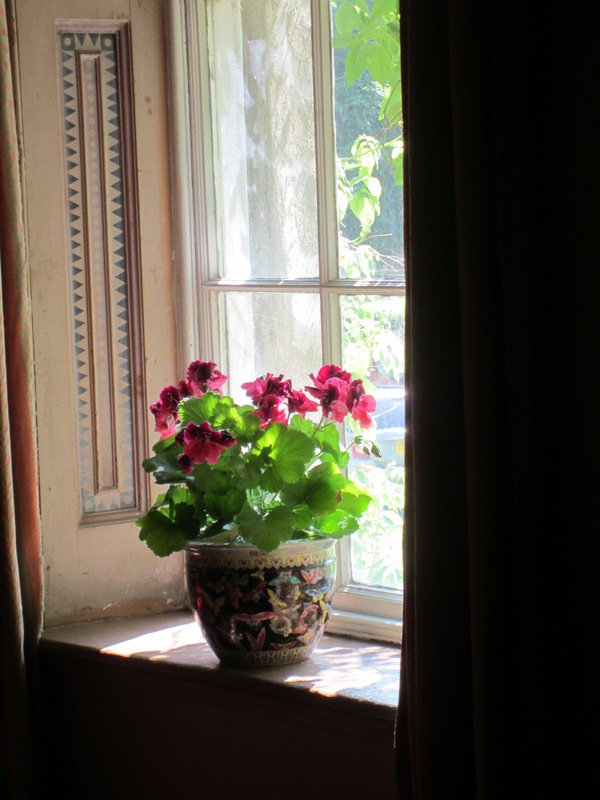 We have a cancellation for Blackpool Mill from Friday 27th June for a week. It is a great time to be down there so please contact us if you would like the week at a last minute discount! We also have some weeks available in September at The Bear and Blackpool. It is normally such a beautiful time at Hartland with the huge spring tides and a warm sea to bathe in. All the details are on our website. Thank you to everyone who has visited us and hopefully the weather will improve and we will all be able to enjoy a great summer at Hartland.